Deeply compassionate. Extraordinarily self-aware. Courageous and determined. A master at following her heart. A visionary fuelled by the desire to make the world a better place. This is how I would describe Alana Deukett, founder of Luludu, a business dedicated to creating beautiful, ethical shoes and home-wares. I love Alana’s story because it’s one of bravery, strength and trust. Stuck in a passion-less job, frustrated and confused by the current system, Alana decided her world needed to change. Not knowing why, just knowing that she had to, she packed up her bags and moved to Byron Bay, trusting that the answers would come if she just stayed true to her heart. And the answers did come, a few months later, in the form of a pair of crochet shoes that her Mum had kept from the 80s. Alana instantly knew this was it. This was what she had been searching for. She knew this was a product that she could make herself. And so Luludu was born. In May 2014, Alana realised she could use these shoes to support an important movement – ethical fashion. She travelled to Cambodia where she spent over three months finding and then training three women in the skill of making these crochet shoes. And, the shoes? They are quite possibly the most beautiful shoes I have ever seen. If you’ve ever felt like you need to make a change but you have no idea where to even start and the idea of it just seems too scary and overwhelming, this story is for you. 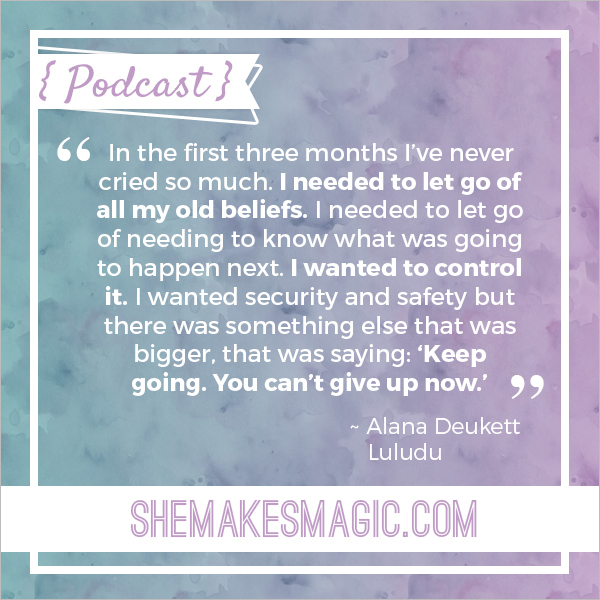 + How she found the courage to take a huge leap of faith, quit her job and step into the unknown. + How she financially supported herself while she was hunting for her passion and purpose. + The importance of trusting and following your heart, regardless of what other people are doing or saying. + How the Universe conspires to help you when you’re walking your true path. + How she had to let go of all her old beliefs in order to step into her new life as an ethical shoe designer. + Why she believes the world would be a better place if we all made one little change. + Why the world needs your special brand of awesome and unique gifts and talents. + Plus loads of other goodness. + Vipassana Centre, Queensland – the 10 day Vipassana course Alana attended before she quit her job and moved to Byron Bay. + Tonlé Design – the zero-waste design company Alana collaborates with to bring her shoes to life. + Sweatshop: Dead, Cheap Fashion – one of the many documentaries Alana watches to keep her motivated and fighting for her cause. + Tara Bliss and Connie Chapman – two bloggers Alana follows for spiritual and emotional guidance and support. + Marie Forleo – Alana watches Marie TV for business tips and tricks. What is your biggest take-away from this conversation with Alana? Share it with us in the comments below. 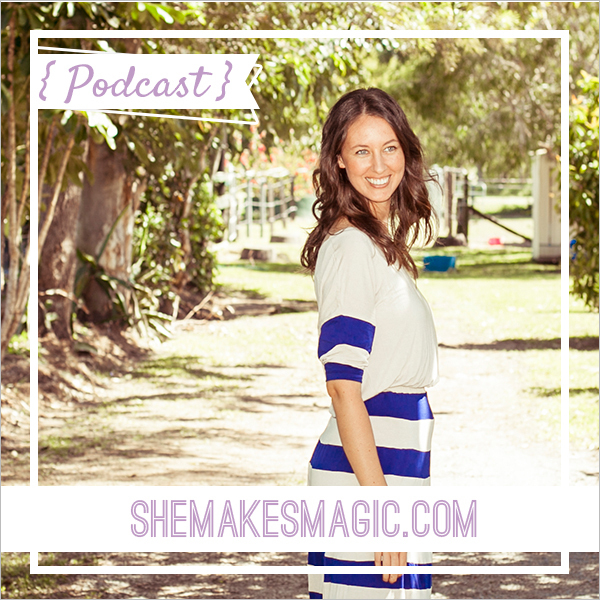 I’m loving your podcasts and the inspiring honest women you talk to. Thank you, thank you, thank you.